Slotzilla Archives - Build the Brand. Protect the Brand. Vegas VR, Las Vegas’ virtual reality app, sure knows how to get around. Since its debut in March 2016, the app has been downloaded over 11,200 times; has traveled to more than 10 countries; and has been incorporated into over 20 events, activations and trade shows globally. Las Vegas has quickly become a leader in the virtual reality (VR) destination marketing field and is still one of the only destinations globally to incorporate virtual reality into its marketing efforts and to have a VR app. For over 35 years, R&R Partners has been the communications agency of record for the Las Vegas Convention and Visitors Authority (LVCVA). Campaigns like “What happens here, stays here®” were responsible for creating the modern Las Vegas brand that attracts more than 42 million visitors annually. But, in order to keep campaigning fresh and relevant, R&R Partners envisioned a new direction for positioning the brand that would tap into the visceral and deeply emotional reasons visitors connect with the city. Thus, Vegas VR, Las Vegas’ virtual reality app, was born. 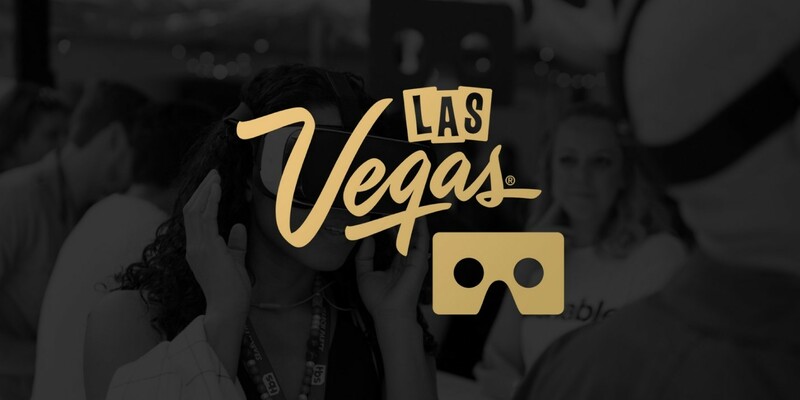 When using Vegas VR, consumers are directly connected with a series of original 360-degree interactive videos that become immersive virtual reality experiences when used with a VR viewer compatible with smartphones, such as Google Cardboard and Samsung Gear VR. From zip-lining through the Fremont Street Experience aboard Slotzilla, to being serenaded on an authentic gondola ride through The Grand Canal Shoppes at The Venetian and more, Vegas VR places trade show delegates, consumers and would-be visitors alike into some of the most iconic Las Vegas experiences. Las Vegas became one of the first destinations to utilize virtual reality technology in March 2016 when Vegas VR was showcased during the ITB travel trade show in Berlin, Germany. Domestically, the LVCVA introduced the destination’s virtual reality technology to industry and tech media at the 2016 South by Southwest® (SXSW®) Conference and Festivals in Austin, Texas, which celebrates the convergence of the interactive, film and music industries. Since its initial debut, it has continued to be used on a global scale. 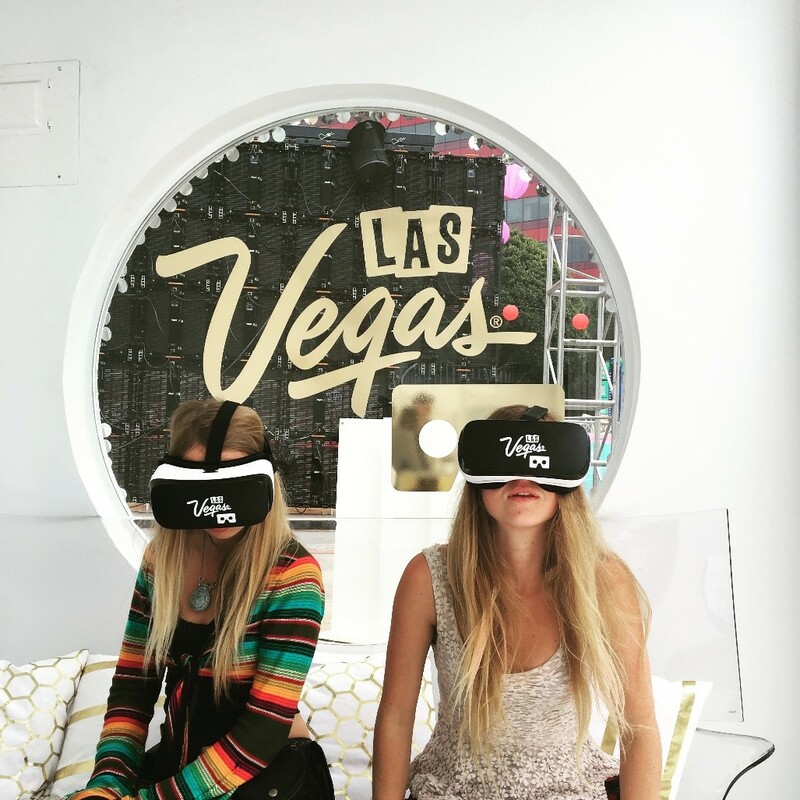 From trade shows, to media events and consumer brand activations, Vegas VR continues to shine. Over summer 2016, Vegas VR went through its first major refresh, which brought new content and a new design. Additional features were added to some of the videos, including fact overlays, scene-change capabilities and time-lapse footage. The LVCVA’s foray into VR technology started about two years ago when it partnered with Google on GeoVegas, a site that featured steerable 360-degree photos and videos inside Vegas hotels and attractions. 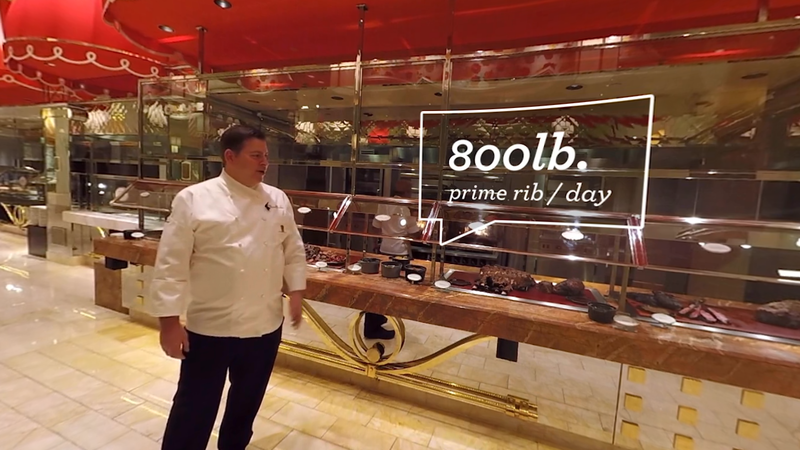 It functioned like a digital walk-through, enabling viewers to tour a hotel, nightclub or restaurant. To create the VR content, R&R Partners worked with the LVCVA and its destination partners to film 360-degree videos of experiences that only exist in Las Vegas using a Pro7 360 Plug-N-Play Holder and seven GoPro Hero 4 Black cameras, professional tools used for filming virtual reality 360-degree content in various environments. Once the videos were created and stitched together, R&R Partners worked with Wemersive to create the Vegas VR app users can download today. Depending on the content of the video, the entire process can take anywhere from one to six weeks to create. Vegas VR continues to be one of the most accessible VR apps on the market. All users need is the app, a smartphone and a cardboard viewer. Even without a cardboard viewer, users are able to watch all of the 360-degree videos on the app and interact with the videos using gyroscope, swipe and zoom functions without using additional virtual reality technology. The Vegas VR app has been downloaded more than 11,200 times. The LVCVA has also distributed its virtual reality content through social media channels and other digital platforms where they’ve received over 17 million views. The LVCVA and R&R Partners are always looking for new content and will continue to create and add new VR experiences to the app. Moving forward, the LVCVA and R&R Partners will look to add storytelling elements to the VR content and continue to use new elements such as the fact overlays, multiscene capabilities and time-lapse elements. Vegas VR is available for iOS and Android platforms and is free to download here or through the App Store and Google Play. A selection of 360-degree videos are also available to view on Las Vegas’ YouTube channel. The LVCVA has also launched VIVA, a dynamic and engaging platform that captures the best Las Vegas has to offer through original destination digital content, and WhereToVegas, a mobile app that provides visitors with a social heat map of trending locations and events in Las Vegas, helping visitors maximize their Vegas vacation experience by informing them of the “hot spots” in town during their stay.